Hidden in the corners of my pantry were spring roll wrappers and rice noodles that were purchased when I was in my spring roll-making craze and I hadn’t touched them in a while. (Both items have an extremely long shelf life.) I didn’t have tofu, chicken, shrimp or pork — the usual meat mains I use in spring rolls — but I had some leftover jalapeño bacon. Bacon works in almost everything, why not spring rolls? Instead of using lettuce, I used spinach which I love pairing with bacon. Goat cheese was also added for a creamy but funky component. (Saffron Restaurant used to carry a spring roll with salmon and cream cheese.) For added crunch besides bacon I also included slivered carrots already in the refrigerator. These are all the usual ingredients I would add in a salad minus the noodles and spring roll wrappers. Once all the ingredients are prepped, the only thing to do is lay out the ingredients on freshly wet wrapper and roll. This can get a little tricky. Spring roll wrappers are notoriously delicate. To compensate for that, all the fillings were placed inside the spinach leaves. Once wrapped, these rolls are ready with enough made for lunch the next day. (If wrapped tightly with plastic wrap, they hold really well for a day). 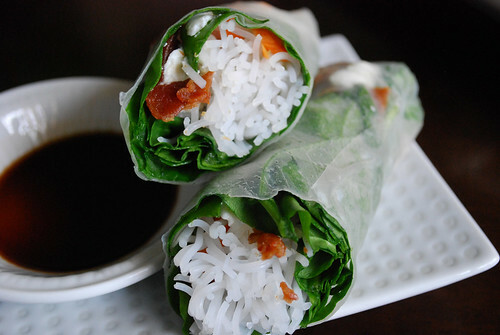 The spring rolls are delicious on their own but if you need a sauce to dip them in, a balsamic glaze is pairs amazingly well with the goat cheese. Check out my friend Ani’s recipe for balsamic glaze here. Fillings for spring rolls are limited only by your imagination or what you have on hand. In a large frying pan, cook bacon until crisp. Remove from pan and drain on paper towels. Heat a large pan with water until boiling. 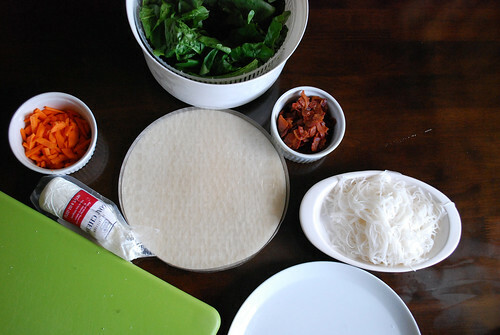 Add rice noodles and cook for 1 1/2 to 2 minutes until al dente. Drain and rinse noodles in cool water. 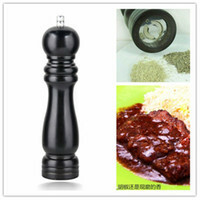 Fill a large, deep plate with hot tap water. Dip one wrapper into water briefly and lay on flat surface. 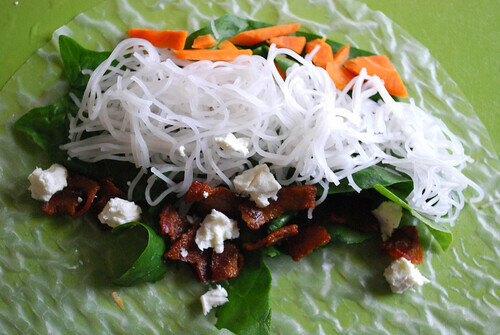 On rice wrapper, place a few spinach leaves, noodles, bacon pieces, carrots and crumbled cheese inside. Pressing down on filling, fold the bottom of each wrapper over filling, then fold in sides; roll tightly. Press edges to seal; if rice paper is too dry to form a proper seal, moisten unsealed edges with a little water. Continue filling and rolling up wrappers until all ingredients are used. Cover tightly with plastic wrap to store rolls. When ready to eat, serve with your choice of dipping sauce. Trying to use up stuff in the fridge i made a bacon goat cheese and tomato pasta. Dont think ive ever used bacon and goat cheese together and coincidence to read your post after experimenting! That pasta combination sounds delicious. Pasta is one of those forgiving meals that you can add almost anything to. I think I love this idea. I’ll keep spring rolls in mind when I have a bunch of leftovers that might work in a roll. 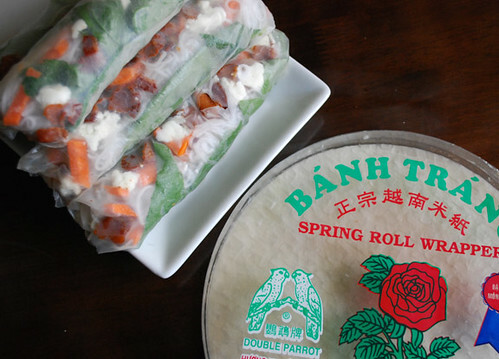 I think anything can go for spring roll fillings as long as they work harmoniously outside of the roll as well.